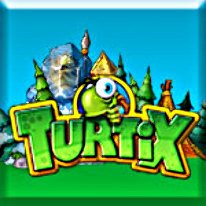 Help Turtix become a turtle hero! Turtix didn't know what would happen when he tried casting a powerful spell without the supervision of his teacher. Long story short; he lost control, and now things are even worse than before! He needs your help! Help him find the pieces of a shattered amulet, and help save all the young turtles who were captured in the chaos. Guide Turtix through his world in this charming side-scrolling arcade adventure.